Where did the Tomahawk come from? 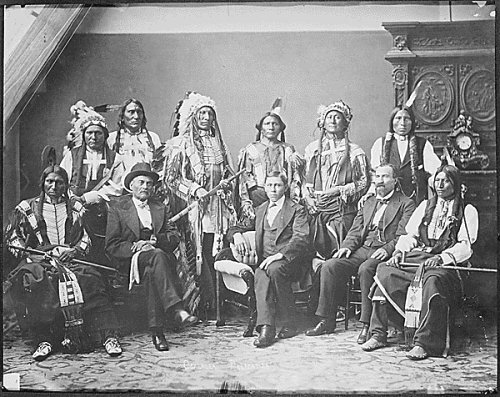 The tomahawks originated from the Algonquian Indians in Native America. The term tomahawk was derived from the Algonquian words “tamahak” or “tamahakan." 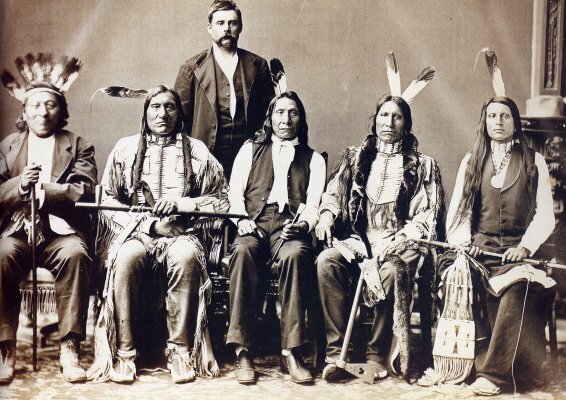 The Native American Indians regularly used tomahawks made from stone heads which were attached to wooden handles secured by strips of rawhide. 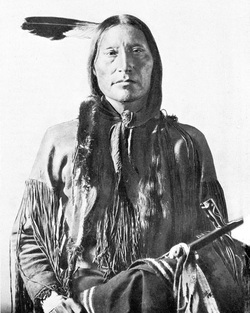 They used tomahawks for general uses such as hunting, chopping, cutting, or mainly as a weapon. 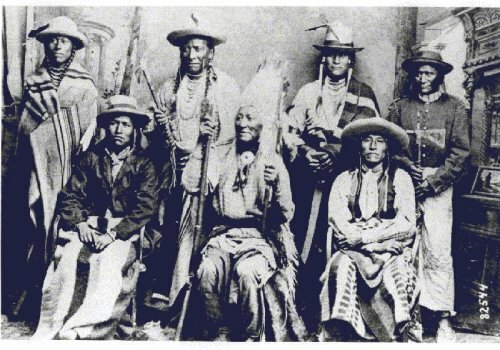 It was the Europeans who introduced the metal blade to these native Indians about 400 years ago. The local tribes became very good at using it in battle. By then, the tomahawk’s poll, which is the side opposite the blade, consisted of a hammer, spike or a pipe. These became known as pipe tomahawks, made of a bowl on the poll and a hollowed out shaft, were created by European and American artisans for trade and diplomatic gifts for these Indian tribes. 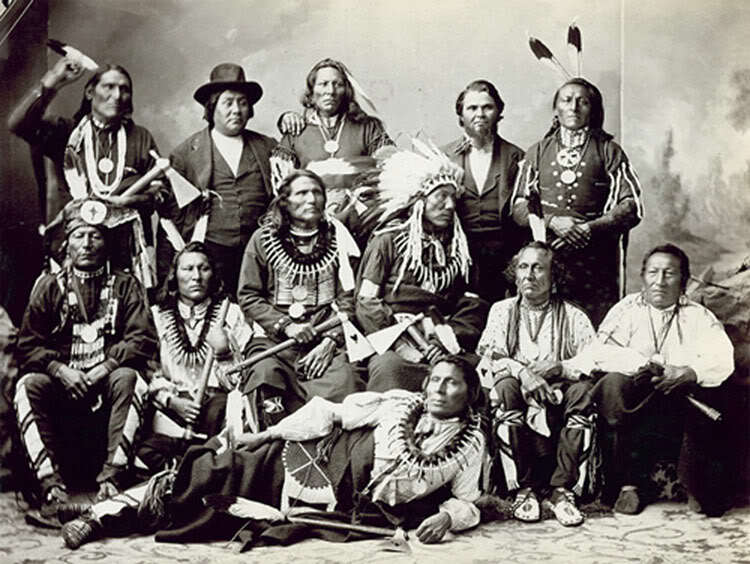 The local tribes considered the pipe tomahawks as very useful general purpose tools. During the Revolutionary War in the late 18th century, the Continental Congress required the military men to carry either a tomahawk or cutting sword. Guns were unreliable and took a long time to reload so the tomahawks served as a weapon for hand to hand or melee combat. 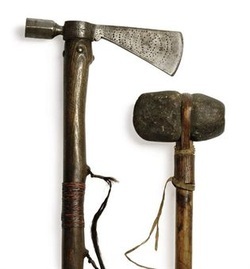 A few American soldiers used the tomahawks during the World War II and the Korean War. But as technology progressed, the use of guns also advanced, causing tomahawks to lose its prominence. Tomahawks resurfaced again between 1966-1970 when Peter La Gana, a World War II veteran of Mohawk – descent, crafted and sold thousands of tactical tomahawks to the American troops serving in Vietnam. These tactical tomahawks were sturdier and featured a penetrating spike for the poll. Today, tomahawks are manufactured on a large scale in Europe or created by individual makers and companies in America. There are also some Indian blacksmiths who are expert in creating the tool. Tomahawks come in different shapes, designs and purpose. Its useful in camping and bush craft scenarios and is often used as an alternative to hatchets, since its lighter and slimmer. Modern tomahawks are now made of drop forged, differentially treated, alloy steel. This allows the blade and the spike to be harder and shock resistant. Tomahawk throwing is also fast becoming a popular and enjoyable sport with hundreds of enthusiasts engaging in tomahawk throwing competitions.